With a 650 credit score, you can expect to pay more in interest than those with a higher rating. Regardless, having a 650 score is not a total loss. Do you have 650 credit score? Do you want to improve your credit score? A 650 credit score is considered fair and would classify you as an subprime borrower. Good news is that it shouldn’t take too long to gradually improve your credit rating for more affordable rates and terms. In fact, to achieve “good credit” status, all you need is a 670 score and you’d be in a whole new category. As you can see, scores between 670 and 739 are considered good based on FICO’s research. Only eight percent of borrowers with a good score become seriously delinquent within two years. Conversely, twenty-eight percent of those with a fair score (580 – 669) become seriously delinquent which is why they’re subprime. You’ll have to focus on paying your bills on time as often as possible. This is the first step to improving your 650 credit score. Without paying your bills regularly, you’ll never be able to improve your credit record. You should avoid using an excess amount of credit. 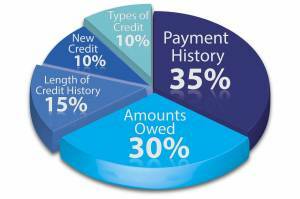 It’s a good idea to try to stay below thirty percent (some experts say 25%) of the available credit you have. If you do happen to bypass the 30% threshold, don’t immediately expect your score to drop. This is merely one indicator of risky behavior that FICO considers as a predictive component to creditworthiness. However, if you begin missing payments and applying for new credit, expect a change in your score. You can reduce utilization by setting up a budget, building an emergency fund and finding cheaper alternatives to common expenses. Again, payment history is an important factor when determining your credit score. If you’re regularly paying down debt every month, you’ll be able to win the trust of the lenders. However, a single late payment can work adversely. Typically, your credit card issuer will report a delinquency to a credit reporting agency (CRA) after you’ve missed two consecutive payments (30 days late). The damage to your 650 credit score will be evident as a result. The purpose of credit scores are to give lenders a predictive evaluation of whether a consumer will be seriously delinquent (more than 90 days late on payment). The recovery process of your credit score will become more difficult the longer the delinquency lasts. Therefore, even if you’re late on a few payments, attempt to pay as much of the balance as you can to reduce the delinquency length. This will aid you in improving your credit score. Once the account is six months late, the creditor will declare a charge-off meaning they don’t expect payment to be received. This will have the most severe impact on your 650 credit score. With a fair credit score, you should probably avoid applying for new credit unless you need it. There are credit cards for fair credit out there, however, it might be better to improve your 650 credit score first to receive better credit offers. Moreover, applications for any new credit will be reflected on your credit report as hard inquiries (or hard pulls) which stay on your credit report for two years. This can lower your score. A soft inquiry (or soft pull), conversely, does not affect your score. This is usually done when an employer does a background check when hiring in some industries or when you check your own score. In addition to the regularity in payment and minimized utilization of the available credit amounts, you should consider the following things to make the process fast and more effective. Instead of closing your unused credit, you should leave them open. Your unused accounts will be added to your total available credit lowering your utilization and maintaining your credit history. You should also check your credit report regularly to avoid any inaccuracies. If there are any, try to fix them as soon as possible. Find more information on that at the Federal Trade Commission. Also, you can learn more about your rights concerning disputing inaccurate information on your credit report here. 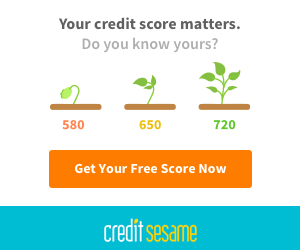 How Long Will it Take to Improve a 650 Credit Score? Again, all you need is a 670 score to be considered “good” when it comes to FICO’s credit scores. With regular payments and following the above-mentioned steps, you can gradually improve your credit score in a reasonably short amount of time. If you need credit, view this list of the best credit cards for a 650 credit score here! Late payments will stay on a credit report for 7 years. Foreclosures will stay on for 7 years. Completed Chapter 13 Bankruptcies will remain for 7 years. Chapter 7 Bankruptcies will not be deleted till after 10 years. Collections will remain for 7 years. Unpaid tax liens will stay on for 10 years from the filing date. However, once paid, will be deleted after 7 years. Bottom-line, you should always remember that there’s no shortcut to rebuilding a 650 score. You can start improving by setting a budget and living within your means.